For twenty years I’ve been reading, and rereading, Diana Gabaldon’s epic adventure series “Outlander”. They are, as I like to describe them, “bodice ripping, time traveling, romantic historical fictions, filled with warrior poets in a kilt, a take charge heroine, blood, guts, gore and more.” Really, they defy easy description. This is not just chick lit either. There’s enough epic adventure, sword fights, machiavellian villains and clan revenge to satisfy any man as well. Plus, Diana created the absolute perfect male hero. Seriously. Big, brawny, educated, will kill a man to protect hearth and home, while quoting Marcus Aurelius. After twenty years of movie studios optioning the rights to make a feature film – which would never have worked each book is over 800 pages – it has been turned into a television series airing on Starz. The first (of what will hopefully be several) season is sixteen episodes which covers Book 1. 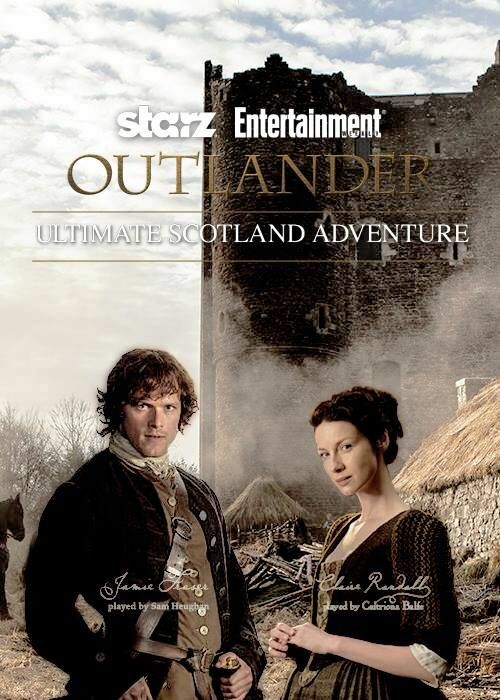 Author Diana Gabaldon is a consultant on the show, which is produced by Ron Moore (of Battlestar Galactica and Star Trek fame), and filmed in Scotland with a mostly British, Irish and Scottish cast. Amazingly, Diana, who is a scientist by training, wrote the first book as practice to learn how to write a novel, she never expected it to be published or see the light of day beyond a Compuserve writer’s forum she was part of. She was in her mid/late-30s when she decided to try her hand at writing and the book wasn’t published until her early 40’s – an impressive mid-career change, no question. The series officially starts on August 9th, but the first episode has been released on the production website here. It was so good I intend to watch it a few more times. We’ll be waiting another two weeks for the second episode. My only complaint is that they’ve decided to split the seasons into two 8 episode half-seasons, with part 2 not airing until the winter. Boo on that. Mad Men has done the same with its last season. So, I’m such a fan, I am going to be blogging about the show, the interior design (there’s not much, but a bit inside the castle), Scottishness in general (I’m English/Irish, but a wanna-be Scot). I thought I’d start this first “Outlander” post with a little tutorial on tartans, kilts and plaids. – Tartan is the pattern that is made by weaving dyed wood strands together to create a specific pattern (now of course they are printed as well as woven). In America, we tend to refer to the pattern as the plaid, which isn’t quite accurate. – Plaid is a length of tartan that is often slung over the shoulder, or used as a covering for multiple purposes such as a blanket or ground cover, as needed. It was a multi-use item. Wool with it’s natural lanolin and when tightly woven together, is waterproof (up to a point). – Kilt is made from a tartan and worn skirt like around the waist. It is a traditionally male garment and could easily be up to nine yards and more (the “whole nine yards”) which traditionally the wearer pleated with his fingers and rolled himself up in it, securing with a belt. Like the plaid, a kilt had multiple uses. Even today, traditional Scottish dress has that only the men wear the kilts, where a woman might wear a plaid over a dress, or even make her dress out of the same family tartan. – Originally, tartan patterns were regionally based, versus family or clan specific. Local tastes and availability of natural dyes played a roll in this. Of course, most people in a region were likely related or parts of the same clan, but there wasn’t a specific pattern for each family as we think of today. In the mid-18th century, the British banned the wearing of tartans and other Gaelic cultural items. (And we American’s think the were only bothering us at that time!) By the end of the century, the law was repealed, but Scotsman no longer wore their tartans and kilts as every day dress. The tartans were, however, retained as symbols of Scottish culture. It wasn’t until the mid-19th century, where chemical dyes were more readily available and cultural branding became more possible, that patterns (old and new) were associated with specific families. So, if you’re watching Outlander, share below your thoughts on the production, I’d love to hear!